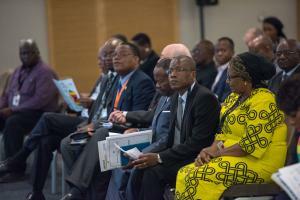 HILTON CANARY WHARF, LONDON, November 8, 2018 /EINPresswire.com/ -- Zimbabwe is open for business – this was the strong message heard at the Invest Zimbabwe Forum held in London on Thursday. In her opening address, Hon. Priscah Mupfumira, Minister of Environment, Tourism and Hospitality Industry reminded investors that Zimbabwe is now open for business, and highlighted that the country has been rated a top three global tourism destination for 2019 by Lonely Planet.